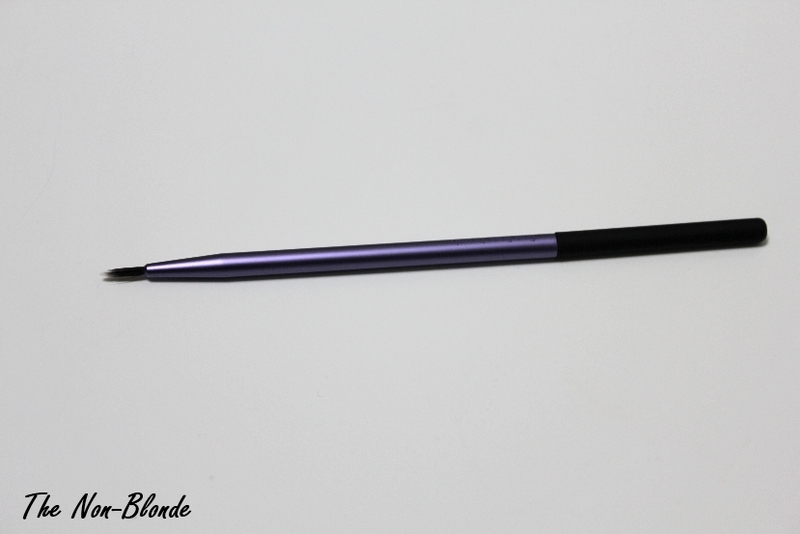 A good eyeliner brush is judged by the level of control it gives the user. It needs to deliver a line as fine or as thick as desired without requiring decades of experience and an artist's hand. Real Techniques Fine Liner Brush, one of three new makeup brushes in Samantha Chapman's Real Techniques line, is not that kind of a brush. The first red flag is the length of the bristles. 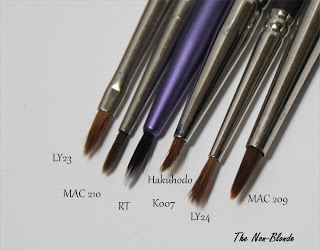 Generally speaking, long haired eyeliner brushes are more difficult to control (compare this Real Techniques brush to the wonderful Hakuhodo K007). 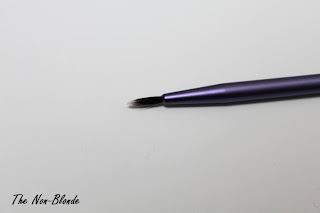 Then there's a more subtle detail: while the Fine Liner brush tapers nicely at the edge, its thicker in the middle than its base, causing the ensuing line to go awry more often than not. The fine liner brush is Real Techniques and Samantha Chapman's second attempt at making a liquid/gel liner brush. 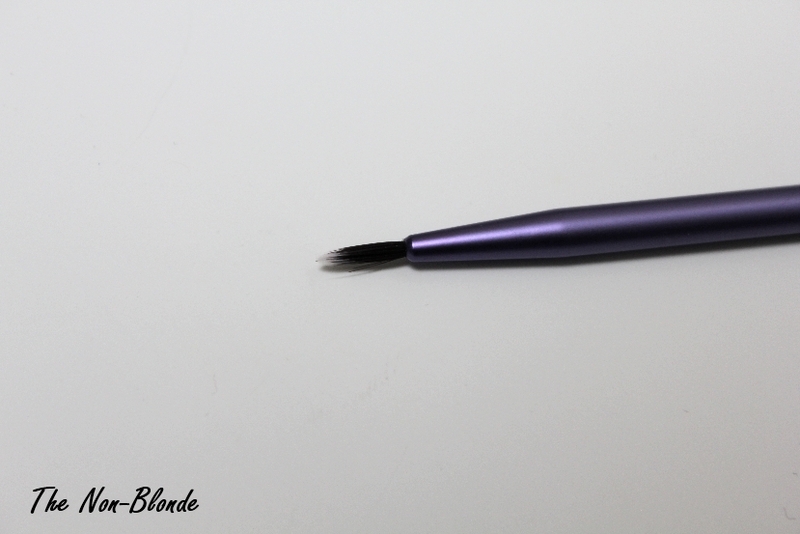 The first was part of the Starter Set that includes five eye makeup brushes. 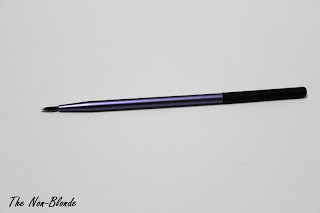 The eyeliner brush in that set is even wider than this one and makes little sense. 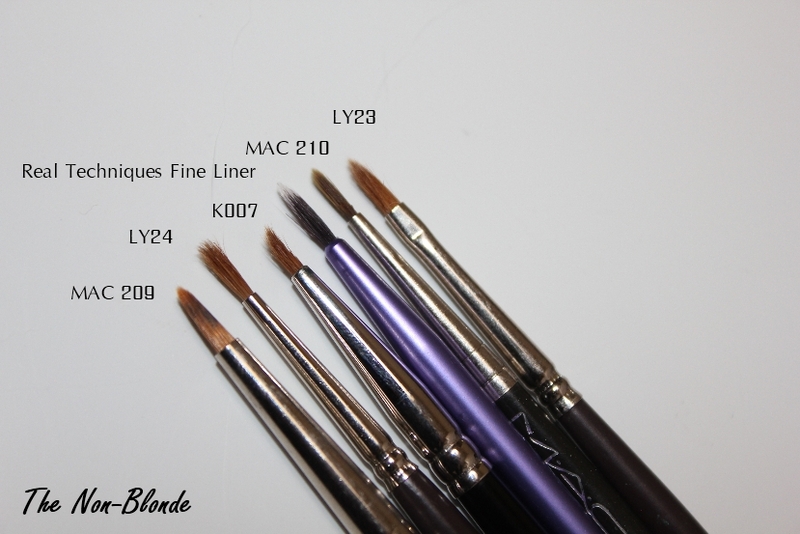 Real Techniques Fine Liner Brush ($8) is available from Ulta, in store and online. The brush was sent for my consideration by the brand's PR. Besides the Hakuhodo K007 (which I have), what are your other favourite eyeliner brushes?